Yes, there are limits. It is just a well, after all! They're most likely from Random Events that you refresh over or don't see. If Meepits suddenly start appearing, though, it's best to be on guard. We're not at liberty to divulge such information regarding Dr. Sloth's mysterious past (lest we be reduced to space sludge), but we will say that he got his PhD in horribleness, and that's all that really matters. We've been keeping an eye on things since we introduced gift boxes and we're happy to say that we're really impressed with the way you guys are handling yourselves! From what we've seen there's been very few problems so far, and as long as you guys keep it that way, you are welcome to trade NC Mall items for other NC Mall items. We'll hash it out very clearly here, but from what we've seen you guys are making us proud by following the spirit of the site rules in dealing with trading NC items. Trading an NC item for an NC item. Trading multiple NC items for an NC item. Gifting an NC item as long as you don't accept a "thank you" gift in return that is not an NC item. 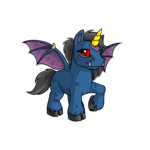 Trading an NC item for an NP item / Neopet / some other service. Agreeing to trade items and then running off with an item without completing the trade. Neopets Jr. is a simplified version of Neopets for our youngest players, to help them navigate the site in a more visual manner. o_O Okay, we've gotten some weird rumours sent to us before, but this one certainly takes the cake. There's absolutely nothing wrong with hitting your Backspace button while on Neopets. Backspace away! We're very happy you've enjoyed our site for many years. *hugs* As far as Chia Bingo, we will look into the possibilities of bringing it back. No promises, though. It's all in the proteins, kids. Her last memory was of venturing to the kitchen for a snack, and then nothing. There was a big, black void where time had been lost that she couldn't account for. "You're... right," the warrior rasped, struggling to get back onto his feet. He swayed, but willed himself not to drop. "Gallantry isn't enough."